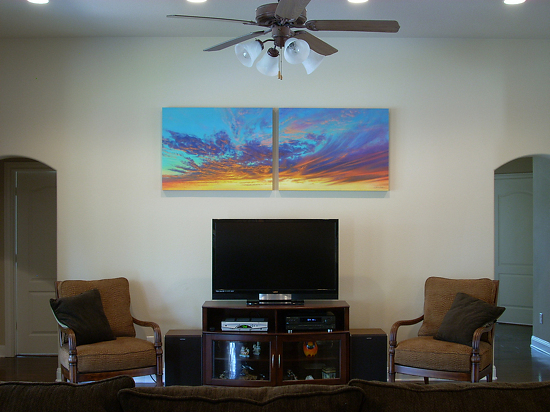 “We finally moved into our dream home, and it was time to think about decorating the walls. While at the Cottonwood Art Festival in Richardson, Texas this year, I came across Lauren’s booth and instantly fell in love with this diptych. As you can see from the photo, we have a very large wall above the television with high ceilings, and needed something spectacular. The “Swirl and Swish II” giclee fit the bill perfectly. The instant I saw it I knew I had to have it.